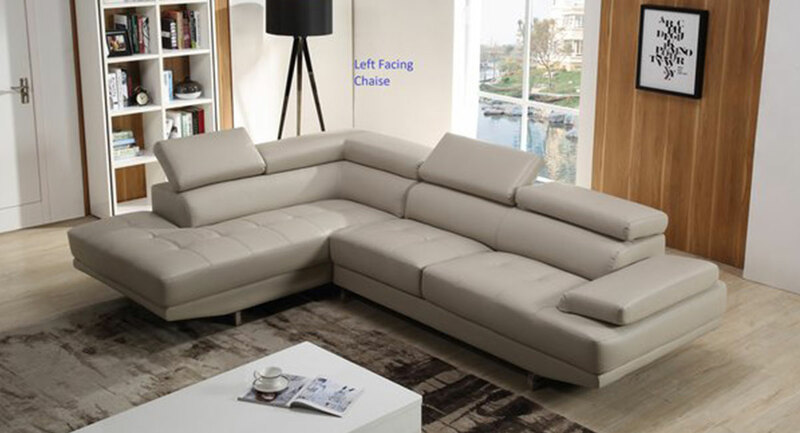 This contemporary sectional sofa features wooden frame, soft leather, and medium-firm foam cushions. 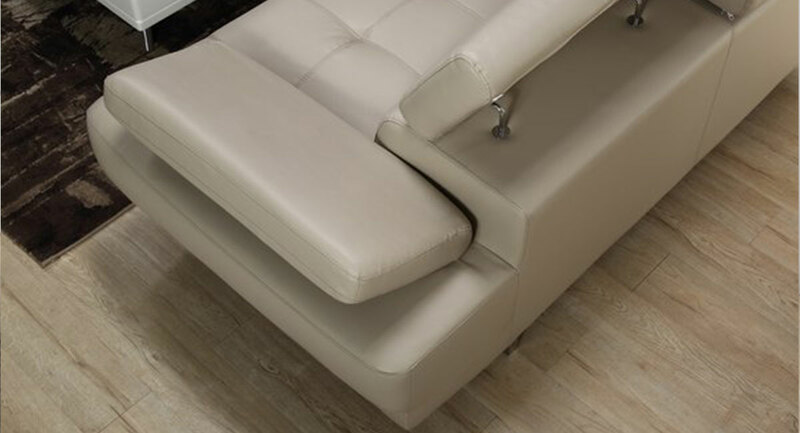 Adjustable headrests provide additional support when needed. Chrome-plated steel legs with non-marking feet add additional contemporary style and help protect sensitive hard floors. All cushions are sewn to the frame. Color: Grey (Left facing Chaise). Dimensions: Dimensions: 114L X 88W chaise X 30″(37″)H. – 41″ Depth and 17″seating H.